The Bible’s Holy Days are central to True Worship. But determining when to observe them creates an unending controversy - one that has been ongoing for 2,000 years. The question is, can we trust the Jewish, or Hebrew, calendar as some do? Is it the calendar Yahweh commanded for man? Or has its many changes down through history rendered it most unreliable? Here are the facts regarding the Jewish calendar, as well as the true Scriptural calendar given by our Creator. Some of the most visible personalities in history are those who make predictions about the future. From Nostradamus to modern “prophets” like Jean Dixon, human beings have always had a fascination with what is to come. The year 2000 is especially intriguing to many with an interest in the end times. But the greatest prophetic treasure virtually ignored in churchianity—and the key to true and accurate prophecy - lies in the days Yahweh commanded to be observed from the beginning. The Bible tells us that the holy days, Sabbaths, and the new moons “are a shadow of things to come,” Colossians 2:16-17. Notice that this New Testament passage says they ARE, not WERE, a shadow. These days are prophetic, presaging events that will soon be reality. The fact is, the truly momentous events of Yahweh involving His people happened at these special times. Because of their significance not only for prophecy but also for right worship, it behooves every believer in truth to understand the seven annual Feast days and their importance for today. Central to this understanding is knowing the proper times these days occur. Passover and Pentecost (Feast of Weeks, or Shavuoth) have been fulfilled twice, once in the Old Testament and again in the New. The four autumn festivals await fulfillment. They are: Trumpets, Atonement (although partially fulfilled in Yahshua’s death), Tabernacles, and the last Great Day. All the commanded Feasts of Leviticus 23 will continue to be observed by Yahshua and His subjects in the coming Kingdom. We recognize that the annual Sabbaths should be observed throughout the year, and must be observed at the proper time. Had the Israelites been keeping Passover a day late, the destroying angel would rightfully have destroyed both Israelite and Egyptian firstborn. Other important events are tied to Yahweh’s Feasts as well. The correct date of the annual Sabbath could be especially important for us in the future. Knowledgeable Bible scholars believe that the Messiah could well come on the day of Trumpets, for He shall “descend from the heavens with a shout, a voice of the archangel and the sound of a Trumpet,” 1Thessalonians 4:16. If we are obediently keeping the days that Yahweh has reserved for the worship of Himself, then we will be in tune with the Messiah’s Second Coming and be ready as the Savior commanded in Matthew 24:44. See also Colossians 2:16-17. Just as important is to understand that the seven annual Feasts reveal the plan of salvation. By observing them we not only comply with the heavenly command, but we also get “in synch” with Yahweh’s ways. Observing the important scriptural Feast days upon the correct day and month is most difficult if we lack a reliable calendar. Our present Gregorian worldly calendar with 12 months of 30, or 31 days each, is not the calendar of the Bible. The Gregorian calendar, adopted by all Catholic countries in 1582, is a sun-based calendar. It pays no attention to the new moons as marking the beginning of the months, although the word month is based on the word moon (from Old Saxon manoth, meaning of the moon), i.e., the phases of the moon. The Hebrew word khodesh, or chodesh (No. 2320 in Strong’s Exhaustive Concordance), is translated either “month” or “new moon.” Chodesh is from No. 2318, chadash, a prime root meaning to be new; cause to build, and is translated renew or repair. The sense or meaning of chodesh must be determined from its usage in the sentence in the Bible (not to be confused with the Hebrew word, Qodesh, #6942, which means “holy,” “consecrated,” or “set-apart”). The new moon appears every 291⁄2 days, which means the new moon month is either 29 or 30 days in length. The Gregorian calendar divides the year into 12 months of 30 days each, and adds a day to every other month to make the year of 365 1⁄4 days, with a day added every four years (leap year) for the accumulated extra 1⁄4 days. The actual new moons thus do not begin the new month in our secular calendar, but are ignored and fall anywhere within the month. Some months in our Gregorian calendar have two new moons! The Biblical calendar is based on the recurring new moons, with a lunar year of 354 days. Yahweh established the “lights” in the sky to be man’s calendar. Notice; “And Elohim said, Let there be lights in the firmament of the heaven to divide the day from the night; and let them be for signs, and for seasons, and for days, and years” Gen. 1:14. A difference of 11 days exists between our world’s solar calendar of 365 days and the Bible’s new moon or lunar calendar of 354 days. Because it totally disregards the new moons, the Gregorian solar calendar is unacceptable in determining Yahweh’s holy days. Is the Jewish (Hebrew) Calendar Valid? Many are firmly convinced that we should be guided by the present calculated Jewish calendar in the worship of our Heavenly Father Yahweh. The Jewish calendar does list the weekly Sabbaths as well as the Festival Days. This calendar has been used for hundreds of years and is widely available. Some have gone so far as to make the erroneous claim that the present Hebrew or Jewish calendar was the one used at the time of the Messiah, and therefore we should be keeping the same days observed by the Jews today. Some of the over-zealous contend that the Hebrew calendar was given to Moses at Sinai. But the Jews themselves scoff at this allegation. If the calendar used by Judaism today is that which was in vogue during the time of the Messiah when He faithfully kept all His Father’s Commandments 2,000 years ago, then we should by all means rely upon the same calendar. History, however, shows beyond a shadow of doubt that the present Hebrew calendar is a relatively new addition. Some glaring deficiencies arise if we attempt to reconcile the present-day Hebrew calendar with the historical record and the Bible. In the following dates of the present Jewish calendar we would be doing violence to the Scriptures, for this calendar violates its own rules more than half the time - a fact we will demonstrate. Today’s Jewish authorities readily admit that the calendar they use now is of recent vintage. This calendar appeared long after the Temple was destroyed by Titus in 70 C.E. Hillel II reportedly published the Jewish calendar in 359 C.E., after the Bar Kochba revolt (132-135 C.E.). Repression of the Jews followed swiftly once the Romans devastated Jerusalem and barred the Jews from entering. Religious leaders no longer functioned in Jerusalem and the determination of the months and Feasts days was in chaos. Church leaders concluded that they could no longer look to the Jews to establish the celebration of their Easter. For centuries the governing religious body known as the Sanhedrin had announced the new year and sanctified the beginning of each month from Jerusalem. In the spring month of Abib (Nisan) the Jews had kept Passover, which the church then followed with their celebration of Easter to commemorate the resurrection of the Savior (even though there is no command to do so). Many ancient writers allude to the “anti-Judaistic” attitudes of the Roman Church in this milieu. The council of Nicea in 325 C.E., presided over by Constantine, marks the official stand of the Roman Catholic Church for the observance of Sunday. Since the time of Hadrian (Roman Emperor 117-138 C.E.) the Jewish calendar was no longer reliable. Passover came too early, which meant that the Easter celebration of the resurrection was also too early. Contending that the Savior’s resurrection occurred on Sunday morning, the Roman Catholic Church decided henceforth that Easter would fall only on Sunday, and not on any day of the week as practiced by the eastern churches in Asia. Schaff’s History of the Christian Church sums up the decision of the council of Nicea by stating, “The leading motive for this regulation was opposition to Judaism...we would have nothing in common with that most hostile people, the Jews; for we have received from the Redeemer another way of honoring [Yahweh] (the order of the days of the week), and harmoniously adopting this method, we would withdraw ourselves from the evil fellowship of the Jews. For what they pompously assert, is really utterly absurd; that we cannot keep this feast at all without their instruction...” Vol. 3, page 170. The decision referred to here said, “The exact determination of Easter Sunday is made from the first full moon after the vernal equinox...” Ibid. However, the history of the Roman Church’s decision to determine its own date of Easter is most interesting. There was a conflict with the churches in Asia who continued to reckon the Paschal season with the Jews and observed the 14th of Abib for the Memorial Supper. But the churches in Roman and European areas stood by a Sunday observance, “from tradition, dating from the time of Hadrian” while the Asiatic churches “...claimed for themselves the highest authorities: the Apostles John and Philip, their disciples Papias and Polycarp, and some celebrated prophets and martyrs...Rome, however, did not yield. She also had her tradition...” The Church Separated From Rome, by L. Duchesne. The truth is, the Jews themselves could not agree just when the Passover was to be celebrated! Those who followed the Jewish Passover of the 14th of Nisan became known as “Quartodecimans” (meaning fourteenth). But the Jewish calendar had been changed after the resurrection of the Messiah and was no longer reliable. •	The ancient Jews (before the new calendar was published by Hillel II) could only have celebrated the Passover AFTER the vernal equinox supposedly on March 21. In other words, the Asiatic Christians followed the Jewish Passover in setting their festivals because that was the way the Savior kept the Passover. However, because the Jews were now following a new and different Jewish calendar, they occasionally had their Passover BEFORE the vernal Equinox. The ancient Jews could only have celebrated the season AFTER the equinox. Following the destruction of the Temple, the calendar had been changed. The following explains how. The years 132-135 C.E. mark the revolt of Bar-Kochba and his followers. It took the most able Roman general Julius Severus to put down the rebellion, with dreadful slaughter on both sides. Hadrian vowed to raze Jerusalem so that none would know there had ever been a city there. Jews were not allowed in the city, and Jerusalem’s destruction by the Roman army was carried out. The Sanhedrin (the governing Jewish religious body) could no longer meet to sanctify the new moons each month and therefore dates for the Feast days were in disarray. The proper calendar dates for the annual Feasts were in question. It was at this time that the Jewish calendar underwent a change. It was this confusion that provided the impetus that led Christianity to set its own guidelines in dating Easter. The Epistle of Constantine summarized the conclusions for the Christians at the Nicene Council; “From henceforth the vernal equinox and not the Jewish calendar should determine the incidence of Easter. That when the equinoctial full moon fell on a Sunday, Easter should be celebrated on the Sunday following; both for the reason already given, and because the Jewish festival would have been celebrated and over. Also, by making Easter, by necessity, subsequent to the vernal equinox, there was no longer a danger of double observance in the same year” (“Paschal Controversy,” CBTEL, p. 723). Under Easter in this same reference we find, “Many of the church fathers are of the opinion that according to the original calculation of the Jews up to the time of the destruction of Jerusalem, the 14th of Nisan had always been AFTER the spring equinox, and that it was only in consequence of a miscalculation of the later Jews that the 14th Nisan occasionally fell BEFORE the equinox. As the Christians could now no longer rely on the Jewish calendar, they had to make their own calculations of the time of Easter.” (vol. 3, p. 13). Here is another candid admission that during the time of the Messiah and BEFORE the destruction of Jerusalem (70 our Common Era) that the Jews used a different calendar from the one that has come down to us today. The later calendar had Passover occasionally BEFORE the vernal equinox. As Yahweh set His calendar to begin in the spring (Ex. 12:1-2) the vernal equinox is regarded as the beginning of the year. The days then begin to grow longer, the earth stirs to new life and the new year begins. However, today’s Jewish calendar begins the year in the fall, with the day of Trumpets. The Age of the Father by William Bright (vol. 1 p. 100) substantiates the problems of the Roman Church in determining the correct date. Their motto was “No Judaizing as to Easter”...but a new difficulty had arisen out of a difference among the Jews themselves, for some of them, contrary to their old tradition, had taken to keeping Passover BEFORE the vernal equinox. 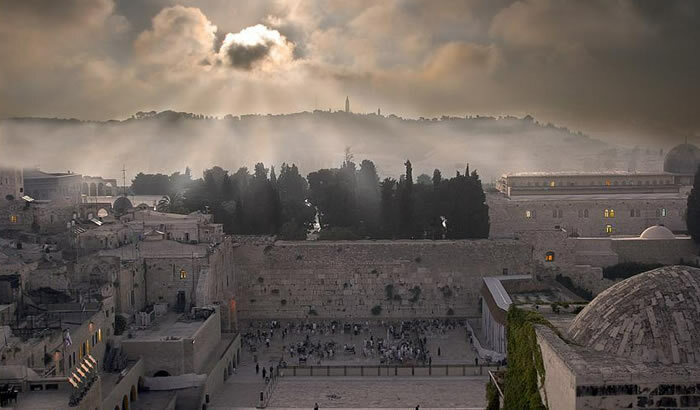 Good historians agree that the period following the destruction of Jerusalem was one of the most difficult both for Jews and the early believers. There were uprisings and revolts among the Jews throughout the countryside, followed by severe reprisals and repression by pagan Rome, who at first did not differentiate between Jews and the early believers in Yahshua. Some of the greatest tales of heroism among the Jews are told to this day concerning the valor of the Jews at Masada. The iron rule of the conquering Roman army quashed many vestiges of Jewish culture and religion. Included with repression of the Jews were the early believers who also worshiped in the synagogues, read from the same Torah, and observed the Sabbath and Feast days. Many manuscripts were destroyed (especially Hebrew writings) as religion books were blamed as instigators of revolt. The Sanhedrin, Pharisees, Sadducees, and other leaders were scattered. The biggest loss to the Jews was the designated time of the annual Holy Days to worship Yahweh. Their calendar was now in complete disarray because the decision-making body was dispersed. It was during this time that the Jews living in areas east of Jerusalem and Galilee (known as Babylon) attempted to assert their own authority in these matters under Hananiah (also known as Chananya and Hananyau). They were rivals of Palestine. Two very good sources give us the history and background of the rivalry between Jews dispersed in Babylon and those in Palestine. One is the History of the Jews, by Prof. H. Graetz, and the other is of the same title by Milman. The latter is a more abridged version of the account of Hananiah, who established a Sanhedrin in Babylon, and the Patriarch Simon II who determined to assert the superiority of the Patriarchate of Tiberias in Judae of Palestine (recently moved from Usha and Jamnia-Jabne) over rival Babylon. The open schism concerned the calculation of the day for the Paschal celebration. The following is an excerpt from pp. 478-481 of Milman’s second volume, which he dates as being 240-300 of our Common Era—some 200 years after the death and resurrection of the Messiah, “The schools of Babylon and Palestine fell into an open schism concerning the calculation of the day for the Paschal Feast. Simon determined to assert the superiority of the Patriarchate of Tiberias over his disobedient brethren. Hananiah, who taught at Nahor-pakod, and Judah ben Bethuriah, were the most educated of the learned teachers in the schools of Babylon; and to humble their pride and bring them into subordination to the seat of learning in Tiberias, was the great object of the mission which was dispatched by the Patriarch. “The two legates were furnished with three letters. They delivered the first to Hananiah, which bore the inscription, ‘To your Holiness.’ Delighted with their recognition of a title considered of high importance, Hananiah courteously inquired the reason of their coming, ‘to learn your system of instruction.’ Still more flattered, Hananiah received the ambassadors with utmost cordiality, and commended them to the people, as worthy of every honor, both as descendants of the High Priest (for the Patriarch of Tiberias claimed his lineage from Aaron) and for their own personal merit. “When the treacherous legates has secured their ground in the good opinion of the people, they began to controvert the judgements of Hananiah, to animadvert on his opinions, and to lessen him by every means in the public estimation. Hananiah, enraged at this abuse of his kindness, summoned a second assembly of the people, and denounced the legates as traitors and ignorant men. “From all sides an instantaneous cry arose, ‘Heaven preserve us from heresy! We have still a portion in Israel of [Yahweh].’ The authority of the Sanhedrin in Tiberias was universally recognized. Judah ben Bethuriah, as well as Hananiah, was forced Tobu the yoke; and till the political separation of the Babylonian from the Western Jews, on the restoration of the Persian monarch (for the province has now been again brought under the Roman dominion by the conquest of Verus). The patriarch of Tiberias maintained its uncontested supremacy over the whole Jewish commonality.” The accounts by Milman and Graetz are both by competent Jewish historians. Jewish chronicles admit that the Jews themselves were not in harmony as to the correct day of Passover. The Council of Nicea was called to settle several differences in doctrine, and to set the time for the Paschal, or Easter celebration independent of the squabbling Jews. It had become obvious that the church could not depend upon the Jews who so disagreed among themselves over the calendar. Passover could vary as much as a month among the Jews, depending on the intercalary month. The truth is that the present Jewish calendar evolved and grew into its present form over a period of many years. It is not the same one followed at the time of the Messiah. Anatolius said that at the time of Messiah and before, Passover never was allowed to occur BEFORE the vernal equinox, but did exactly that under the present Hillel calendar, where Passover was placed two days before the equinox in the 17th year of the cycle! This NEVER occurred in Temple times. Further, Anatolius points out that this can be learned from “Philo, Josephus, and Musaeus and not only them, but also by those yet more ancient, the two Agathobuli, surnamed ‘Master,’ and the famous Aristobulus, who was chosen among the seventy interpreters of the sacred and holy Hebrew Scriptures by Ptolemy Philadelphus and his father who also dedicated his exegetical books on the law of Moses to the same kings. In appealing to the more ancient writers, including Aristobulus (2nd Century B.C.E. ), one of the seventy who translated the Septuagint Old Testament, it is evident that these writers agree that Passover had to occur AFTER the vernal equinox. By reckoning the vernal equinox as the beginning of the year, it would be possible to have two Passovers within one year if Passover were kept before the equinox. Being well learned in the calendar, Anatolius was showing the Jews and those who followed their “new” calendar that they were completely wrong in their cycle change. When the 17th year of the 19-year Metonic cycle came around, Passover was two days ahead of the vernal equinox, according to the new calendar adopted by the Jews. This 17th-year Passover occurs the earliest of all years, and it stayed ahead of the equinox for the next 400 years. However, the Jewish calendar no longer allows Passover to occur before the vernal equinox because of the basic error wherein the present calendar adopted in the 2nd Century is longer than the solar year by six minutes, thirty-nine seconds. This means the entire calendar moves ahead of solar time one day in about 216 years. Since this steady creeping ahead of the solar calendar, the 17th year in the cycle no longer has Passover before the equinox. Eventually, however, Passover will be held more toward summer than spring. Interestingly, some proponents of the Jewish calendar would have us believe that this calendar was given directly from Yahweh and is infallible. The Jewish Encyclopedia admits, “Insignificant as these differences may appear, they will cause a considerable divergence in the relations between Nisan, and spring as time goes on, and may require a Pan-Judaic Synod to adjust,” ibid. Had Yahweh indeed inspired this Jewish calendar, we who believe and rely upon His Word know there would be no reason to adjust or change anything He had made, for He makes everything perfect. Therefore, the present Hillel II Jewish calendar cannot be inspired of Yahweh. It is a masterpiece of man, but being of man, is fallible and indeed contains error. Note that this Bishop of Alexandria confirms that the ancient Jews observed the Passover according to Yahweh’s command and kept it after the equinox. Because of the changes made in reckoning of the Jewish calendar, their present ciphering is in error. This condemnation of the error of the Jews in keeping Passover under the new rules of their calendar was directed, not at the way they were keeping Passover, but at the dates that were set. Before that time the visible sighting of the new moons was verified to establish the beginning of the months. He is criticizing the Jews because they no longer went by the visible new moons to establish the holy day calendar. Instead of observing green ears of barley, they began using calculation alone and in so doing set Passover before the vernal equinox, or back in winter, and not in the spring when the new year began, keeping Passover out of its spring season and observing it too early, in the winter season. It must be noted that the new moon of Abib did not necessarily come before the equinox, for the exact equinox (March 19, 20, 21, or 22) was anciently most difficult to determine with primitive means. But Passover, which occurs 14 days after the new moon at the time of the full moon, was highly important. There is no doubt that the early assembly fathers recognized the error of the Jews in their calculated calendar. The Passover was kept by first observing the new moons right up to the destruction of the Temple in Jerusalem. It was only after the dispersion, which followed that the calculated calendar came into use and along with it the adaptation from Babylon of the metonic, or 19 year cycle. Prior to that time, an 8-year cycle was followed. Flavius Josephus, the Jewish historian, himself a priest who lived in Messianic times, tell us that the Passover had to be held when the sun was in Aries, that is, had passed the vernal equinox. It was shortly after that time of Josephus that the Jewish calendar was changed to that every 17th year of the cycle, Passover was placed in the winter in the previous year, instead of into the spring of the next year! (Josephus Antiquities, Book II, ch. X 5.) As explained, because of the steady creeping forward of the Jewish calendar, this error no longer occurs. It should be interesting to you to know that the procedure followed by the Jews during the time of the Messiah and right up to the destruction of Jerusalem is the same method used by Yahweh’s Assembly in Yahshua today! In our relentless effort to return to the Truth of the Scriptures, we have endeavored to follow the Bible as our guide in keeping Yahweh’s Holy Days. It is clear from all the abundant evidence that the present 19 year cycle of the Jewish calendar is a recent recension from Babylon, later accepted by other Jews and finally published by Hillel II over an extended period. As the eminent Encyclopedia Britannica states (under Origen), “The Jewish calendar is the result of long development; its present form is not of great antiquity." Hastings Encyclopedia of Religion and Ethics (ERE) states (p. 123) that the change from the 8 year cycle to the Babylonian 19 year cycle took place between 222 and 276 C.E.—after the time of the Messiah. This is another proof that the present Jewish calendar was not used in the time of the Messiah. It has been changed! (Footnote) “Conclusive proof of the view that the continuos calendar had its origin in Babylon during the post-Talmudic period (5th century C.E. ), is furnished at the earliest by the proceeding of Ben Meir...then elaborated upon by Bornstein...” (emphasis our). The ERE has the following footnote: “The earliest known Jewish astronomer, Mashallah, lived in the reign of the Khalif al-Mansur. Here, therefore we find a corroboration of our theory that the consultant calendar of modern Judaism is of relatively late date. The calculation of conjunctions, for instance, cannot have been finally established even as late as A.D. 776, for according to the Baraitha of Samuel, the conjunction of Tishri in that year took place at 4d. O h.; while, according to the modern reckoning it did not occur till 4 d. h.3 h. 363 p.” (p. 122). Here is another proof that in the year 776 in our Common Era, there is a difference of OVER THREE HOURS in the astronomical date of the conjunction! The present-day Jewish calendar does not fit the reckoning of earlier recorded calculation. If the present Jewish calendar were used in 776 C.E., then there would be no discrepancy in the time of the conjunction. Therefore, the present Jewish calendar was not in use at this time, nor could it have been at the time of Messiah. The Jewish Encyclopedia states that the months were based upon visual (empirical) sighting of the thin crescent. This was used in addition to a projected sighting of the new moon every 29 or 30 days. It was only later that a calculated calendar determined the holy days. Still with the Mishnah, on p. 146 #10 we learn that the 16th Abib may fall on a Sabbath; pp. 197, 201, 213 show that the old calendar is not in harmony with the present-day Jewish calendar. In fact p. 509 #7 shows that the Day of Atonement could fall on a Friday, the day before the weekly Sabbath. This is in direct opposition to the modern Jewish calendar which has postponements designed to forestall Atonement’s being either before or after the weekly Sabbath. Not only does the Jews’ own Mishnah disproves the antiquity of the present-day Jewish calendar, but the Talmud also refutes the contention that is an ancient institution of the Jews. In the footnote, p. 117, the ERE states, “It is related in the Talmud (Sanhedrin, 12a) that Akiba (first half of 2nd Century A.D.) reckoned three years as intercalary—a fact which proves the non- existence of any intercalary cycle at that time. Three successive intercalations is unheard of in the modern Jewish calendar which has the additional month intercalated seven times in a 19-year cycle, viz. In the 3rd, 6th, 8th, 11th, 14th, 17th, and 19th years. This is clearly stated in The Comprehensive Hebrew Calendar by Arthur Spier, Number 10 under C. The Common and Leap Years. Not only do we learn that the zealousness of those defending the antiquity of the present Jewish calendar forces them to make rash statements, but in the above we learn that observation of the new moons was carried out BEFORE the 3rd Century B.C.E. The truth is, the present Jewish calendar is not very old, dating from the time AFTER the Messiah, introduced to the world in the fourth century. Jewish writers and misled zealots continue their attempt to present the Jewish calendar as very ancient, implying that its accuracy is unchallenged, which history shows simply cannot be true. Down through the years to our present day there are those who contend the present Jewish calendar came directly from Yahweh, given to Moses at the time of the giving of the Law. This absurdity of trying to place the Jewish calendar before the Messiah was promulgated in the 10th Century. The Jewish calendar of today inserts an intercalary month in the spring, which is known as “Ve- Adar,” the second Adar month. Insertion of an extra month is necessary so that Passover always falls in the spring when the barley crop ripens. If this were not done, the Jewish calendar would be like the Mohammedan which has their holy days rotating through all seasons of the year before returning to their original position every 34 years. However, it was not always the custom to intercalate a month in the spring as presently done with the Jewish calendar. In his The Crux of Chronology, Frank Meyer shows that not only did the early Jewish almanac intercalate a month on the 5th (instead of the present 6th) and the 16th (in lieu of the present 17th) year of the 19 year Metonic cycle, but that the month was intercalated in the fall and not in the spring as at present. Frank H. Meyer’s work shows us then, that the modern Jewish calendar was not governing the times about 564 B.C.E. Today the Jewish calendar inserts a month before the spring month of Abib (or Nisan). This proves that the rules of the modern Jewish calendar were then not used to determine months, and therefore the refining of the present calendar took place during the time after Messiah! The present Jewish calendar is of recent origin, and many authorities do not date it only since the reputed release year 359 C.E., but even several hundred years later. Appealing to the writings of Julius Africanus, Schurer says dogmatically (p. 369), “The system of intercalation was not fixed even in the second century after [Messiah].” On page 370 we read, “...The intercalation was carried out without reference to any preconceived theory on the basis of an empirical observation made on each separate occasion. That this was still the case in the times of the Mishnah is proved from the two following passages; Megillah I, 4Edujoth vii, 7...There is absolutely no trace of any previous calculation.” The Mishnah was compiled from 450 B.C.E. to 200 C.E. and arranged at Tiberius and all this time there is no hint given of a calculated fixed calendar such as the Jews use today! Surely if a calculated calendar were in use at the time of the Messiah, there would be a record of its being included in the writings of the Mishnah, but there is none! Each new moon was based upon empirical observation with a calculated calendar of 29 and 30-day months to corroborate the sanctifying of the month. Many church fathers are of the opinion that, according to the original calculation of the Jews up to the time of the destruction of Jerusalem, the 14th of Nisan had always been after the spring equinox, and that it was only in consequence of a miscalculation of the later Jews that the 14th of Nisan occasionally fell before the equinox. As the Christians could now no longer rely upon the Jewish calendar, they had to make their own calculations. Thus the Council of Nicaea determined that Easter would fall upon the first Sunday following the first full moon following the vernal equinox. It was understood that the full moon would be Abib 15, the first day of Unleavened Bread. The Biblical calendar was originally based on the sighting of the new moon. Only later did that proper method give way to a man-made, exclusively calculated one. The International Standard Bible Encyclopedia (ISBE) (vol. 1, p. 541) reads, “The Heb. or Jewish calendar had three stages of development: the preexilic, or Bib. ; the postexilic, or Talmudic; and the post-Talmudic. The first rested on observation merely, the second on observation coupled with calculation, and the third on calculation only. In the first period the priests determined the beginning of each month by the appearance of the new moon and the recurrence of the prescribed Feasts from the vernal and autumnal equinoxes. Thus the month Abib (‘abhibh), the first month of the year according to the Levitical law, in which the Passover was to be celebrated, was determined by observation (Ex. 12:2; Deut. 16). “After the exile more accurate methods of determining the months and seasons came into vogue, and calculation was employed to supplement and correct observations and the calendar was regulated according to the Babylonian system, as is evidenced by the names of the months which are derived from it. In later times the calendar was fixed by mathematical methods...” Interestingly, the ISBE claims the present calendar came later. “More exactly, 4 years out of every 11 were leap years of 13 months (Jew Enc. Art. “Calendar”), this being derived from the Bab. Calendar. If, on the 16th of the month Nisan, the sun had not reached the vernal equinox, that month was declared to be the second ‘Adhar and the following one Nisan. This method, of course, was not exact and about the 4th cent. of our era the mathematical method [Hillel II calendar] was adopted. The number was adopted. The number of days in each month was fixed, seven having 30 days, and the rest 29. When the intercalary month was added the first ‘Adhar had 30 days and the second 29 days” (p. 542, “Calendar”). A supporting comment comes from the Classic Bible Dictionary: The calendar currently in use for Jewish religions purposes is thought to have been introduced by the patriarch Hillel II [C.E. 330-365]. Before that time it was necessary for witnesses to report the appearance of the new moon to the Sanhedrin each month. The various communities of Israel were then informed of the arrival of the new moon by fire signals, or, later, by messenger. Because of uncertainties concerning important dates, Jews outside the Holy Land observed certain of the holidays on two successive days. “Since the Babylonian exile, the months have borne Babylonians names...” It is apparent that the present Hebrew calendar is based on Babylonian astronomy and even the names of the Jewish months are adapted from Babylonian names. Only	four	months	were	named	before	the	Babylonian	captivity; Abib = green ears (Nisan); Ziv = flowers (Iyyar); Ethanim = perennial (Tishri); Bul = showers (Marchesvan). Thus eight months were given names from Babylon after the return from the Babylonian captivity, Classic Bible Dictionary, J.P. Green, p. 252. Nelson’s Dictionary flatly states that Israel adopted the names of all 12 months of the Babylonian calendar. However, in reference to adopting the 19 year cycle of the Babylonians, Nelson’s Dictionary carefully avoids stating that Israel abandoned her old formula of intercalating a month during their 8 year cycle when necessary and adopted the Babylonian 19 year cycle. But this is exactly what happened, as other authorities attest. The present Jewish calendar follows closely the Babylonian calendar which emerged with the Hillel II calendar of 359 (365) C.E. Thus the Jewish calendar is relatively recent and is a close copy of the Babylonian calendar. This observation by Eerdman’s dictionary states clearly what many scholars have come to conclude, namely, that the various and unbiblical postponements by the Pharisees of Yahweh’s holy days were already being followed during the Savior’s time. Yahshua kept the Passover at the right time with His disciples, as established by the Sadducees, but the Pharisees observed it a day later - on the 15th - just as some do today. The Jewish calendar observes the days from evening to evening in accordance with Genesis 1:5, “And there was evening and there was morning, one day.” This is repeated in Exodus 12:18 and Leviticus 23:32. “Day” is used in a double sense: (1) as the period of twenty-four hours, and (2) daylight as contrasted to darkness or night, and must be determined in context. During the time of the Messiah, observers were stationed in various part of the country and were alerted to watch for a small, faint arc, like a sickle in the western sky shortly after sunset. This would be the first reflection of the sun from the right side of the moon. As the moon revolves around the earth every 29 or 30 days it reaches a point where it is positioned in a straight line between the sun and the earth, and because of the position of the earth and sun, no light is reflected from the moon. This is known as the conjunction (Hebrew – molad). The time elapsed from one molad to another is referred to a lunation, which takes 29 1⁄2 days. During the times of the Temple in which the Messiah walked the earth direct observation was used to establish and begin the new month. This was reported to the Sanhedrin in Jerusalem who then sanctified the day as the new month. It takes at least 18 to 20 (some say 22 hours) following a conjunction for the unaided eye to see the scimitar-shaped arc bulging out on the right side of the moon. The tips of the crescent (called “horns”) often point upward in spring, later to the left. Often the brightness of the setting sun obliterates the thin and very faint light of the new crescent moon. It is the visible sighting of the new moon, which begins the month according to the Bible, and is the rebuilding phase of the moon. Deuteronomy 16:1 reads, “Observe the month (moon) of Abib and keep the Passover unto Yahweh.” Observe is from the Strong’s Concordance No. 8104, shamar, and means to guard, attend to, protect, and is translated beware, be circumspect, take heed, mark, look narrowly, observe, preserve, and regard. The Holladay Concise Hebrew and Aramaic Lexicon defines it as watching in the sense of looking. We are to take special note of that new moon in which the green ears of barley heads develop, and keep the Passover unto Yahweh during that month (Ex. 9:31). The Jewish calendar disregards that admonition and instead anchors the beginning of months to the astronomical conjunction itself, and not to the visible crescent. It is a principle of the Jewish calendar that if the conjunction (Hebrew = molad) takes place before noon, then that day at sunset begins the new month. At sunset that day the new moon would be something less than seven or eight hours old, and if the sunset is before 6 p.m., hardly six hours old, it would in no way be old enough to be visible with the naked eye. “There is at least the possibility of experts discovering the small sickle of the moon six hours after the conjunction” says the Jewish Encyclopedia. But this is a farce, for except by using optical lenses, the unaided eye cannot see the slim sliver of light until the new moon of today is 20 or 22 hours old. This could make a difference of a day in setting the time for the Holy Days of Yahweh. We must remember that the Bible was written for the ancient Israelites, who as shepherds, farmers, dressers of vineyards and sycamore trees did not have highly refined optical instruments at their disposal. We go by the same standards, but have the advantage of records and astronomical predictions of the ephemeris. The Bible’s admonition applies to us as well as to the ancients to be aware (alert to) the new moon in which the green ears appear, that we can properly observe Yahweh’s Passover and remaining Sacred appointments. Yahweh’s Assembly in Yahshua observes these new moons each month just as did ancient Israel. The present Jewish calendar is not sanctioned by the word of Yahweh. It is a man-made; rather late human masterpiece of astronomical projection of the conjunctions called in Hebrew molad. a) When the Molad Tishri occurs on a Sunday, Wednesday, or Friday, Rosh Hashanah is postponed to the following day. b) When the Molad Tishri occurs at noon (18h) or later, Rosh Hashanah is postponed to the next day. (Or if this day is a Sunday, Wednesday, or Friday, to Monday, Thursday, or Sabbath because of Dehiah [postponement] a). c) When the Molad Tishri or a common year falls on Tuesday, 204 parts after 3 A.M., i.e., 3d 9h 104p or later, Rosh Hashanah is postponed to Wednesday, and because of Dehiah a), further postponed to Thursday. d) When a common year is succeeding a leap year, the Molad Tishri occurs on a Monday morning 589 parts after 9 A.M., i.e., 2d 15g 589p or later, Rosh Hashanah is postponed to the next day. · The Day of Atonement cannot precede or follow a weekly Sabbath—never on a Friday or Sunday. · The Last Great Day cannot fall on a Sabbath. · Passover can fall only on a Monday, Wednesday, Friday, or Sabbath. The reason for the postponements in the Jewish calendar is so that the day of Trumpets (First of Tishri) will not fall on the day before or after a weekly Sabbath, which also applies to the Day of Atonement, to allow a day to prepare either for the weekly Sabbath or the Holy day. There is absolutely no authority in Scripture for such postponements, and this was not the rule at the time of Messiah. He never kept Yahweh’s Holy Days a day or two later, but correctly kept them all on the proper day with no postponements. In this treatise you should find abundant evidence that the Jewish calendar in use today was not used during the time of Messiah to set the Feast days. In fact, all evidence points to the gradual development of the present calculations over a period of time, reaching up to the Middle Ages and not just to the year 359 C.E. as is claimed. It is true that the Jewish calendar has been a unifying factor in coordinating the dispersed Jews to worship on the same day around the world. Sadly, the days it shows to worship are not according to Scripture! - There was a change in the Jewish calendar shortly after the death of the Messiah, undoubtedly brought about by the dispersion of the Sanhedrin following the destruction of Jerusalem when the influence of the Pharisees became dominant. - All ancient historians agree the visible sightings of the new moons were originally used to establish the beginning of months. A form of calculated calendar was used by the priests to corroborate the empirical observation. Eventually, the Jews began to rely more on the calculated rather than the observed new moons, and finally to use exclusively the calculated calendar. - During the Post-Nicene Fathers, Passover was at times celebrated before the vernal equinox, placing it in winter and not spring. This had never occurred before. - The Jewish calendar actually creeps forward in time, and is out of synchronization with true solar time, gaining a day every 216 years. - The Mishnah (composed 450 B.C.E.-200 C.E.) shows a completely different calendar, refuting the basic rules of the dehioth (postponements) of the present Jewish calendar. - The present Jewish calendar is never mentioned in the Talmud. - It is impossible to reconcile dates of events in history with the rules of the present Jewish calendar. They do not mesh, e.g. 506 and 776 C.E. - Intercalation early on was with the month Elul (corresponding to our September) instead of the present Adar (March-April). - The 8-year cycle was replaced by the more accurate, 19-year (metonic) cycle borrowed from Babylon. A month was intercalated to reconcile the 11 days difference between the lunar years’ 354 days and 365 days of the solar year. - The intercalation of extra months (or leap year) which occurs 7 times in a 19-year cycle can be proved to have occurred the 5th instead of the 6th year, and the 16th in stead of the 17th year before the present Jewish calendar was adopted. - The present Jewish calendar ignores the Bible command to observe (Heb. Shamar, watch for) the new moon, but instead anchors its determination of the new month to the conjunction or molad, a sophisticated procedure that was not readily available to the average person in ancient times nor even today for those who are unskilled in astronomy. - In the 7th and 8th centuries, probably under Anan b. David, the Karaites rejected the calculated and fixed calendar as not being in harmony with the Holy Word and reinstated lunar observation, p.118, Hastings Encyclopedia. - The Jewish calendar begins the new year with Tishri, in the fall of the year at Trumpets (Hebrew calendar = Rosh Hashanah, “head [or first] of the year”). Scripture says that the month of “green ears” (Abib) shall be the beginning of months to His people, Exodus 12:2. Yahweh’s year begins in the spring when the earth turns green, and life returns, not just before winter. - The earliest known Jewish astronomer, Mashallah, lived in the reign of Khalif al-Mansur (754- 775 C.E.). The present-day Jewish calendar is very precise, and would require a skilled astronomer to construct. Many historians contend it is copied from that of Babylon, and Hillel II published it supposedly in 360 C.E. - The Dehioth (postponements) built into the present-day Jewish calendars are nowhere sanctioned by the Bible. They are the works of man. Postponing a Holy Day under the guise of making the Holy Days easier to live with is totally the works of man and is not scriptural. - The Feast of Weeks (Pentecost) according to all good Bible scholars must fall on the day following the weekly Sabbath. It is to be on the fiftieth day from the weekly Sabbath that falls within the Days of Unleavened Bread. The present Jewish calendar always has it falling on Sivan 6. Why would Yahweh put us to the trouble of counting the 50 days if Pentecost always falls on Sivan 6? - Because of the postponements, 60 percent of the time the month does not begin on the day of the new moon but is postponed. Therefore, the exceptions to the rule are most important than the rule, as they govern the beginnings of the months. This is totally unscriptural. Nowhere does Yahweh say we can transfer the day of worship to another time. Daniel 7:25 condemns those who think to change the times and the laws. - Because the Jewish calendar is based upon the astronomical conjunction, any time the Molad (conjunction) occurs even a minute before noon, that day at sunset starts the new moon day, even when the moon is less than six hours old and not yet visible. - In the year 2000, the Jewish calendar placed the new moon of the seventh month AFTER the visible new moon! We might agree that when it comes to teaching the Torah, the Jewish teachers sit in Moss’s seat, a Hebraism for teaching the law. We are to observe all of Yahweh’s laws, including the Sabbath and Feast Days. We agree that we are obliged to do so. But we are not to follow their works - as when they observe the wrong day - because they follow the erroneous Jewish calendar with all its man-devised postponements. The postponements are contrary to the Bible. At the time of the Messiah’s sojourn, books and writings were extremely expensive and generally not available. The Torah was available to the scribes and Pharisees, but beyond the reach of the average worshiper except by hearing it read in the synagogue. The people were to obey what they heard from the Bible, but not follow those traditions of the elders. By their works or traditions they had made the commandments of Yahweh of none effect, Matthew 15:6. The rest of Matthew 23 contains the condemnation of the Scribes and Pharisees for their hypocritical habit of saying one thing and doing another. We are not to do after their works, neither what they do nor the way they do things. We are to keep the High Sabbaths, but keeping them on the wrong day as is often the case with the Jewish calendar, is the same as disobeying them! A Biblical reason to follow the Jewish calendar is assumed by some by quoting Romans 3:1- 2: “What advantage then has the Jew? Or what profit [is there] of circumcision? Much every way: chiefly, because that unto them were committed the oracles of Yahweh.” They deduce that the “oracles” include the Jewish calendar. “Oracles” is Strong’s No. 3051 (Greek, logion). Logion occurs four times in the New Testament, which Kittel says means “sacred pronouncements.” Acts 7:38 shows a reference to the Ten Commandments spoken from Sinai, and Hebrews 5:12 and 1Peter 4:10 both refer to what is said by Yahweh. It was the Jews who kept a copy of the Old Testament to hand down to us today. However, the calendar is nowhere included in these “oracles” from the Bible. There is no reference to a definite calculated calendar in the Old Testament. By their own admission and by history, we know they have a different calendar today. The present Jewish calendar is not from Moses, but as you have seen clearly demonstrated by reliable scholarship, their calculated calendar is of recent origin, probably much later than the year 360 C.E. when Hillel II purportedly revealed the Jewish calendar to the world of Judaism. There is overwhelming evidence that the method of establishing the first day of the month in the time of the Messiah was by visible sightings of the visible crescent as Yahweh’s Assembly in Yahshua does today. We use a calculated calendar only as a guide to determine approximately when the new moon should be spotted. From that information, then, we must verify by a visible sighting. This is the only proper, Scriptural method of confirming Feast days. The almanac usually pictures a black circle to indicate the date of the new moon. The new moon day is hardly ever a guide to see the new crescent, as the moon must be 20 hours old or more at sunset. Our yearly calendar shows the evening of each month when the crescent should be visible within an hour after sunset in the western sky. On the first night the scimitar-shaped sliver of light will be fairly close to the horizon, bulging out to the right, with the horns pointing up or to the left. The moon may be visible for only a short time the first night. By the time three stars are visible, it is often too late. The sightings must be confirmed by two or three witnesses so that we can be assured of these days. This was the practice at the time of the Messiah. Those spotting the new moons call us in Kingdom City or report to us on our new moon website so we can confirm the calendar. The two critical new moons in the spring and fall determine Passover and, in the fall, the day of Trumpets. This is a major step in restoring pure worship in anticipation of Yahshua’s return and setting up His Millennial reign. We know the new moons will be observed in the Kingdom. Again they will set the dates worldwide for the observation of Yahweh’s Feast days. Everyone will be observing the new moons on the first of every month, just as Israel did in the Biblical calendar. “And it shall come to pass, [that] from one new moon to another, and from one Sabbath to another, shall all flesh come to worship before me, saith Yahweh.” Isa. 66:23. “This is the beginning of months to you.” Ex. 12:2. Don’t YOU Be in Error! If you are following the Jewish calendar, which admittedly keeps the wrong days 60 percent of the time, you are not following the calendar used by the Messiah. If you observe Passover “closest to the vernal equinox,” you may at times be keeping the Passover too early, BEFORE the vernal equinox. Keeping the Passover before the vernal equinox is in effect keeping it in the winter, in the old year. By doing so you may be skipping an entire year where no Passover will be kept, or you could be keeping two Passovers in one year. While some think that the first moon of the year should be after the vernal equinox, history shows this may not be the case. Primitive astronomy was often unable to determine exactly when the vernal equinox occurred. This time of equal day and night is determined astronomically, as the precession of the equinox can be a problem in fixing the exact day. At times the vernal equinox has been on the 18, 19, 20, 21 day of March. A new moon on any of these days could pose a very difficult call, for the vernal (spring) equinox is the exact time the sun crosses the equator on its journey northward. In the time of the Messiah the new moon that occurred when the barley was in the green ear stage was declared to be the month of Nisan or Abib (meaning “green ears”), the beginning of the new year. May you come to see the importance of the Feast days commanded forever (Lev. 23:14, 21, 31, 41), and the proper calendar by which Yahweh set them.